Just imagine that for a moment. 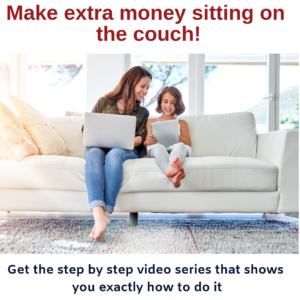 Earning money without moving from your couch! I am passionate about exploring different avenues with my clients to save money AND still enjoy the little pleasures in life. I always encourage my clients and listeners to explore multiple income avenues for many reasons. For many of us, the issue is not keeping expenses to a minimum. The issue may be that we are just not earning enough in the first place. Secondly, in today’s turbulent job market and shifting trends, a lifelong job and stable career is not guaranteed. And finally, it is hugely beneficially to enjoy life with the extra income you make so that you don’t draw from your hard-earned savings and capital. And the best part? All of this can be done in the comfort of your own home! The creative hustle – and don’t worry, we have options for those of you that have no idea what you’d sell! If you enjoyed this podcast, we suggest listening to The Serial Entrepreneur, Three Reasons You Should A Side Hustle and Saving When There is Not Enough To Save. Lisa Linfield: 00:09 Hello, everybody, and welcome to today’s episode of Working Women’s Wealth. This is one I’m really excited about. How you earn $1,000 sitting on the couch. So, as you may know, we’re in the middle of the series on earning more income, and I mentioned that the reason I’m really passionate about this is because I teach many people, who, when I look at their budgets, and when I look at what they’re spending their money on, they’re not having all these cappuccinos that everybody thinks that if they just cut the cappuccinos they’ll be able to earn more money. Now, I know that for many people, that is the case, is that we do waste quite a bit of money on things along the side, but there are also a lot of us out there who are just really struggling to make ends meet. In fact, the issue is one of income and usually an income that they can’t control. For most of us, we’re employed, so we can’t say, “Well, I just want to get another $5,000, and that will just help me.” It doesn’t work that way, because the company doesn’t have that money to give you. So, we need to come up with a Plan B, a different option, to help us to earn more money. Because, it’s also a really tough cycle. For many people, the jobs are in the city, and if you live in the city, the rent is exorbitant. So it becomes this double-edged sword, that in order to afford to work, you’ve got to live very far away from your job and commute. So, transport knocks a huge amount of your money. Again, that’s not something that we can cut. You can’t not go to work, because then you won’t earn any income. But, there’s also another reason that I’m really passionate that everyone should earn extra income, especially if it’s from the thing you love most, such as your hobby, or your passion, or something you’re really interested in. Why? Because no job is safe. My job has been taken away twice. Both times, I was pregnant. I’ve also been in the position, as leader, where I’ve had to make people redundant, to let them go. Talented people, you know? It just happens. It’s not often personal. Maybe sometimes it is. Most times it’s because the company’s going through really difficult times, and in order to save the many, a few have to be cut. So, I’ve been on both sides of the equation, and I started to learn that whilst it’s difficult to be … Personally, for me, it was one of the hardest periods of my life, when my job was given to someone else, when I was pregnant. But I know that it happens, and that often it’s not personal. In my case, it was a $3 billion business, and a $3 billion business couldn’t have no leader for a large portion of time. You need a second income to pay your basic bills, in case something happens to your job. You also need an emergency fund, as we’ve discussed before. But having a second income just starts to give you that little bit of breathing room, that you can pay the bills, invest for something, even if it’s just for doing something nice. One of my favorite episodes is in Episode Five when I talked to Jain McGuigan. She is the serial entrepreneur, and they had decided, as a team … They had three businesses, unknown to me, she’d read one of my articles, because they’d decided as a team that they weren’t going to draw an income for themselves out their business, while they were building these two more businesses. But her friend had a birthday celebration in Greece, and she really wanted to go. She’d read one of my articles, and in the middle of our podcast interview, she talked about how she was implementing it. Why? Because she really wanted to go on that trip, and she knew that she couldn’t draw money out the company. So she decided to start a side hustle, so that she could go to Greece. There are many reasons why it’s a great thing to start a second income. The last one which, obviously, wearing my wealth management hat, is that it helps you to be financially free, because it is an absolute challenge when you’re retired, on two faults. The first one is to go from his great, corporate job, and lots of of people that are around you, and a great purpose, to nothing. From an emotional and a psychological perspective, and just a thing to keep you busy. I work with a lot of people who, getting to 60, they’re 59 and a half, and they go, “I have no idea what I’m going to do next year.” I’ve got so much to give, and now I have to retire.” So, the first reason from being financially free is that it keeps you active, engaged, and just having a purpose when you have your side hustle up and running before you retire. And, secondly, because what that income does is it delays the amount of time that you need to draw from your retirement. So, that’s the last reason, is that it really helps in financial freedom, to not only have something great to do, but also to have something that delays you having to draw on your big, fat nest egg. There are three different types of side hustle, and I really, really urge each of you to listen to the pros and cons of all of them, because it’s a fantastic thing when you open your mind as to how much is out there. The first one is the second job, the second the non-creative hustle, and the third is the creative hustle. A second job is always a quick and safe way of getting a guaranteed amount of income, but it’s not easy. It really isn’t, and by its nature, it’s on top of your day job. Your day job is tiring. It really is. So, your either waking up early or going home very, very late, and whilst that might not be a challenge from a temporary state of being, for a season, it’s really not ideal to be doing that for a very long period of time, to be working eight hours and then another three, because the minute you stop selling your time or quit the job, the money stops. And so, selling your time in a second job is a safe income, but not necessarily a sustainable income. The next side hustle is a non-creative hustle. So, you don’t actually create something. I describe this, in my article on our website, WorkingWomensWealth.com, Six Ways to Make Money Sitting On the Couch, and it really involves doing something for someone else. So, you don’t actually create something yourself, but you can sit on your couch and you can, for example, be a website usability tester. That’s, in fact, what Jain did. And that pays around $10 a test. If a test takes, on average, 15-20 minutes, you can complete about three of them in an hour. So, you’ll earn $50 in an hour. If you do this for one hour every day, and two hours on Saturday, maybe, you will earn $240 a week, or, $1080 a month. I also recently was looking at a transcription website where you can sit and transcribe either legal documents or books or something that requires advanced transcription, and that also pays similarly. So, you know, they’re great opportunities, that whilst you’re sitting on the couch, you can earn $1,000 every single month. But, again, you’re trading time for money, and that money will stop if you don’t do it. It’s probably, also, not something that you’ll love, and it’s going to, therefore, make it very hard to do when the going gets tough. That brings us to the last option, which is the option I love, which is your own, creative side hustle. This means that you create something that you’re able to sell, and the model is that you work seriously hard to get it off the ground, and then, when you’re asleep, someone might buy something. Someone from China, in a different timezone. So, you’re not physically trading your time for money, you are producing something that someone buys. Before you object and say that you have no idea what you’re going to do, I’d like you to hear me out on a few different types of creative side hustles, that you might never have thought about. So, if you don’t have an idea, one of the easiest ways is to sell something online is to be what’s called an affiliate. For those of you who don’t have a clue of what this is, it is the greatest thing since sliced bread. An affiliate is someone who sells someone else’s product and gets a commission for it. Now, remember, you personally are not physically selling anything, because you’re fast asleep. You set up the processes or the content that sells this thing. So, let’s say you love to read. It’s your passion, and you set up, let’s call it Lisa’s Reading Corner. In it, you write a review of the latest book you read. Now, because you love reading, you read a book at least every single week, so every week you’re posting fantastic content reviewing the book that you’ve just read. At the end of your article, you include a link for someone to buy that book from Amazon.com. There’s a picture of the book with this link, and for them it’s easy-peasy. They read your amazing article, they think that this is definitely a book they’ll love, and they just click on the link, and it opens it right up to that book page in Amazon, and they do one click buy and you get a piece of commission. So, if you listen … Actually, I have, Episode 43 is with Meg Brunson. She even did this for her daughter, so, she’s the FamilyPreneur, and she was trying to teach her daughter about online entrepreneurship. She set up a children’s review website that reviews books, and it’s aimed at the parents. So, if you want to look at what this book is that you’ve heard about, this little girl has written a review, and when you buy it on her website, she gets her money. So, it’s a fantastic thing to be an affiliate, and it’s not just, obviously, Amazon, but these days, almost everything that’s sold online has an affiliate program. If you’re a blogger and you’re blogging about fashion or makeup, trust me, every link that you click on has got an affiliate commission to that blogger. The next type is information products. If you think of an online book, or course, or how-to manual, this is what you’re thinking of. The online course industry is rocketing, and the reason why is that there’s so much information out there, that people are actually paying to get someone else to sort through all of that information and deliver it to them in a way they can learn and understand. 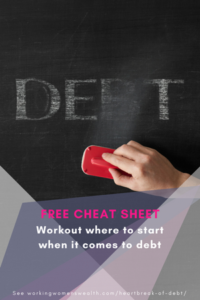 There’s almost nothing you can’t learn for free out there, but the challenge is, there’s so much out there that people are not prepared to sort through it themselves and spend the time. There’s also huge quality variability, and so, people usually follow a person on social media for a while, and then they buy a low-value or free product, so that they can test out the teaching style and quality. So, this is one of the things that I’ve really learned. One of the people that I follow is Pat Flynn, and he always talks about this thing of Know, Like, Trust, Buy. Whilst there may be many different, for example, knitting courses online, what happens is that as you build your email and social media following, people get to know you and like you. And as they try different things that you suggest, they begin to trust that you know what you’re talking about, and then they’ll buy from you. Why? Because they like the way you teach, and that’s crucial in this whole place, is that don’t sit there and think, “Well, you know, there are other knitting courses out there. I’m not going to do it.” The reality is that they want to learn from you, because they know you, they like you, and they trust you. Lastly, there’s selling a product and service. These days, it’s never been easier to do this. Again, if we take Amazon, Amazon will take care of all the logistics, all the warehousing, all the shipping. You can use their store and they’ll advertise on your behalf. I recently did a course just to prove this principle. Each of us was advised to go to Alibaba. It’s just an online store in China. And you could ship anything from China. They would ship it to anywhere in the world just through your own little Shopify store. And lastly, there’s Etsy.com. This is an online marketplace where people either hand make or source an item and sell it, and it’s fantastic. There are great free resources on how to set up an Etsy store, and how to have success selling on Etsy, because it’s become such a huge marketplace, that now there’s a course on how to sell on Etsy. So, the challenge, I know, for many of you, is where to start. You’ve never been an affiliate. You don’t own your own website, and you have no idea how on earth to build a training product. I know exactly how that feels. Literally just over a year ago, in June, I was employed in a corporate, earning a monthly paycheck. Of course, only one year ago, in October last year, when I was recovering from surgery and had to be in bed for two weeks, that I decided I would try my hand at building the Working Women’s Wealth website. Literally I built that from scratch. It’s not the most beautiful, but it’s done and it’s there. I also downloaded a podcast course and taught myself how to start a podcast. You’re talking about a person who’s always had a team of people, in marketing, and things like that, to deliver all these stuff. I had no idea, and I started from scratch. A year later, I’ve earned my first paycheck from affiliate income, I have my own website, I have a podcast that had been going for almost a year, and I’m building a course. And let me tell you a little secret, that my course is called the 30-Day Side Hustle Challenge, and it’s for those of you who have no idea where to start. So, it’s definitely not aimed at people who are already doing a side hustle and wanting to learn how to grow and do online marketing and all of that stuff as pros, and build and scale their business. It’s for those of us who have no idea where to start. It’s going to take you through the process, from start to finish, including if you don’t even have anything to start, in which case I’ll teach you how to be an affiliate and sell Amazon products on your little website. It’s going to take you from the beginning to launching something. And don’t think at the end of 30 days you’re going to have a perfect million-dollar business like all these other great things claim. Remember that it takes 10,000 hours to be a master, and I’m still on this journey, and learning every step of the way. But, think of it as a person who will guide you, over the fear and that no clue phase so that you can get onto your first step of earning extra cash. If you want to join me on this journey, I’m putting together a beta group of founding partners. These are the pioneers who will help me make my course perfect by partnering with me to give me the feedback I need on what works and what doesn’t work, so we can help other people. You’ll get access to a private group on Facebook of other encouraging founding partners, and we’ll all learn and grow together. Access will also be available for me an hour a week, where we’ll do a live Facebook session in the private Facebook group, and you can ask me any questions on stuff you’re struggling with. So, I’ll literally be there to hold your hand personally. And what’s better is that instead of paying $97, which is what it’s going to cost in February, it’s going to be $44 now. And what’s more, is that if you provide me with feedback every single day, in whatever form you choose, an email, a video, a voice note, you’ll get the course for free at the end of it. I will refund you all the money you spent in exchange for detailed daily feedback. That’s how important it is to me that I create something that people can use, something that’s easy to understand, and something that can get every single person from nothing to selling something, even if it’s just an Amazon book. So, what makes it cheap at the price is not just that it’s only $44 for all of this, it’s that you can also get it for free, and it’s not just that. It’s also that I’ve spent way more than $44 on mistakes of buying things I didn’t need and wasting money on various different courses and things that have provided no value. This is done by a person who’s just recently done it, so I will show you all the mistakes that I made, and I will help you to start your own little side hustle. So, if you’re a person who has no clear way to start, this course is for you. Sign up to be a founding partner in our show notes in this episode of Working Women’s Wealth. Those show notes can be found at WorkingWomensWealth.com, and I can’t wait to journey with you. The course will begin on the 7th of November, and will take 30 days until you have a launched, working product. 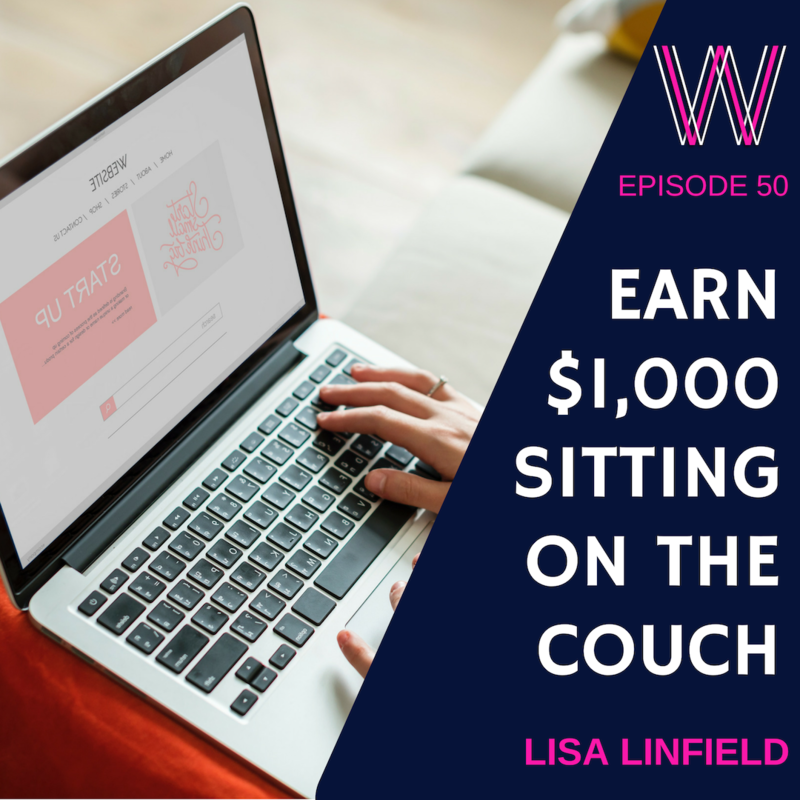 I’m Lisa Linfield, this is Working Women’s Wealth, and sign up to be a founding partner in our show notes on our website. Take care and have a great week.